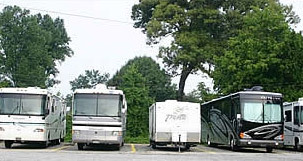 We offer RV Storage at our facility. Our storage area is well lit and secure. You can also arrange to have routine maintenance on your RV while in storage.